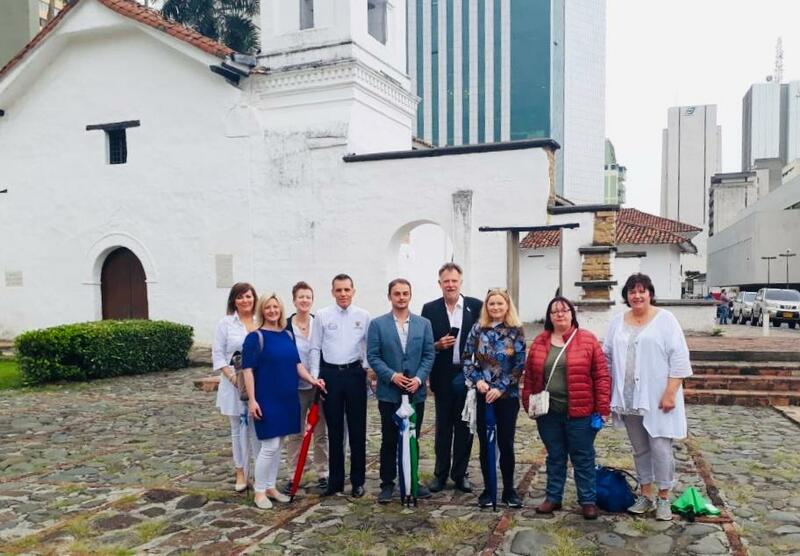 Twenty years after the signing of the peace agreement in Northern Ireland, a delegation from the country’s capital, Belfast, visited Colombia to work with the cities of Medellín and Cali on post-conflict management and the reduction of urban violence. 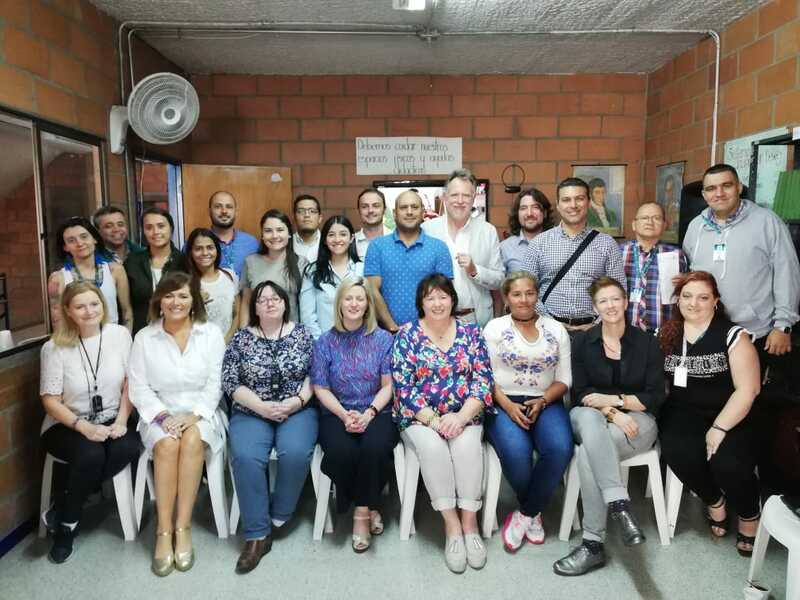 The Northern Ireland delegation visited Cali from November 26th to 28th and Medellín from 29th to 30st. 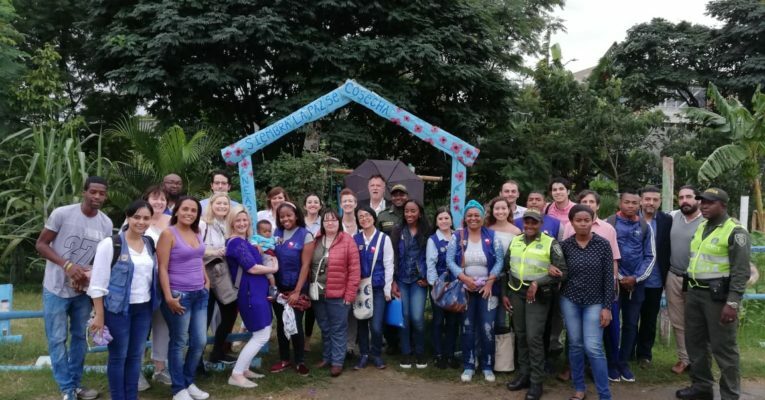 The experience was very valuable for Cali and Medellín, given the post-conflict phase they live in and for which they have been implementing urban violence reduction programs for several years. 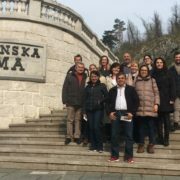 The exchange took place within the framework of the cooperation between cities of the EU’s International Urban Cooperation Program (IUC), an initiative that promotes the sustainable urban development of cities. 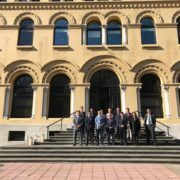 During the three days that the Belfast delegation visited Cali, it had the opportunity to learn about different programs that the Cali’s City Hall developed in this area. On the first day, the Territorios de Inclusión y Oportunidades (TIO), (translation: Territories of Inclusion and Opportunities (TIO)), which combats inequality, exclusion and violence in 90 neighborhoods of 18 communes and 15 rural districts; and Cure Violence, a project that seeks to reduce violence among young people in target communities such as Charco Azul. On the second day, the Colombian delegation shared with its Northern Ireland partner its strategy Tratamiento Integral de Pandillas (translation: Integral Treatment of Gangs), which aims to recover young people who have belonged or have been victims of gangs, and its Gestores de Paz y Cultura Ciudadana (translation: Peace Managers and Citizen Culture program), which seeks to take vulnerable young people, through an 18-month rehabilitation and assistance process, to the achievement of formal employment. Likewise, Belfast delved into the Vértigo, FutbolNet and Graficalia programs, which encourage the practice of activities such as extreme sports, football or graffiti, respectively, so that young people can use their free time in a healthy way. On the third and last day of the visit to Cali, Belfast got to know the Mi comunidad es Escuela program (translation: My Community is School) project, a flagship initiative to promote public education in the city and which is the basis for Cali being part of the Unesco World Learning Cities Network. 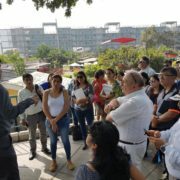 Once in Medellín, the Colombian team guided its partner delegation through the Casa de la Memoria Museum, a space that aims to understand and overcome conflicts. 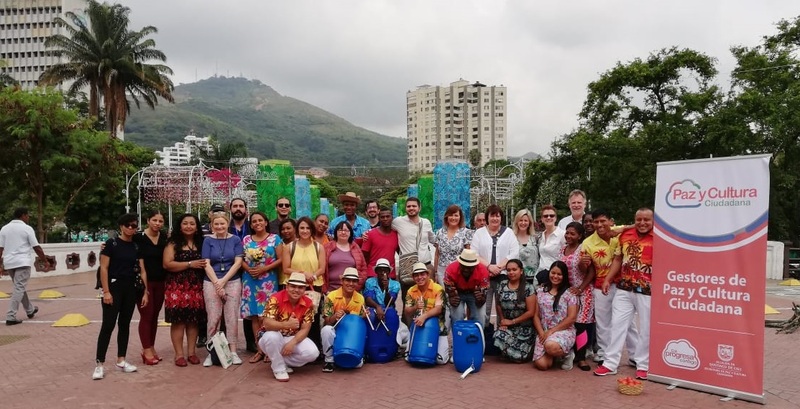 In addition, an initiative of young artists was introduced to Belfast, which becomes a journey of color for life in the 13th district of Medellin; also, the Centro de Formación para la Paz y la Reconciliación (CEPAR) (Translation: Training Center for Peace and Reconciliation (CEPAR) and Ciudad Don Bosco (translation: Don Bosco City), initiatives that serve adolescents and young people, men and women, disengaged from organized armed groups, and that provide them studies and professional training to access the working market. 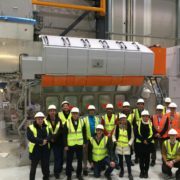 The European Union has contributed to Colombia since 2016 with 95 million for the implementation of the peace agreement and the achievement of greater stability and security in the country. 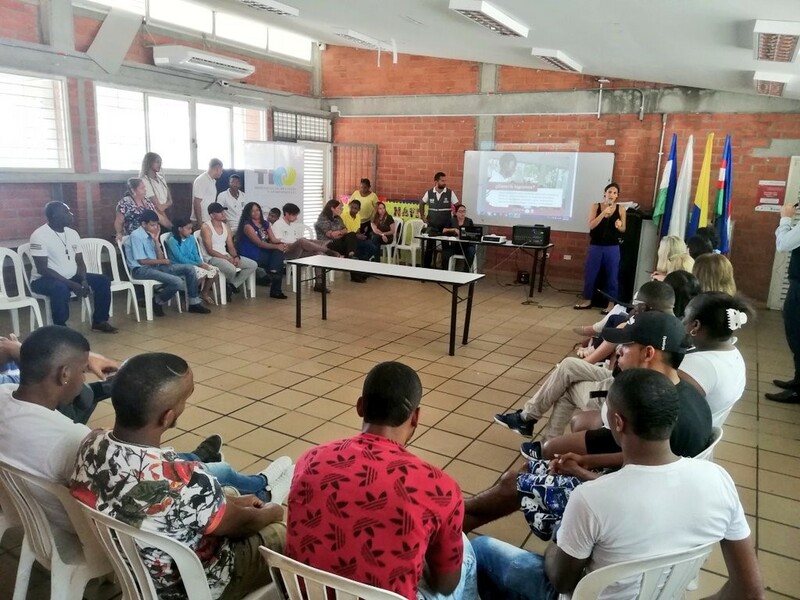 The international organization sent the aid to Colombia through a Trust Fund, a tool that brings together resources from different donors to enable a rapid and flexible response to exceptional situations in the regions, such as the Colombian conflict. 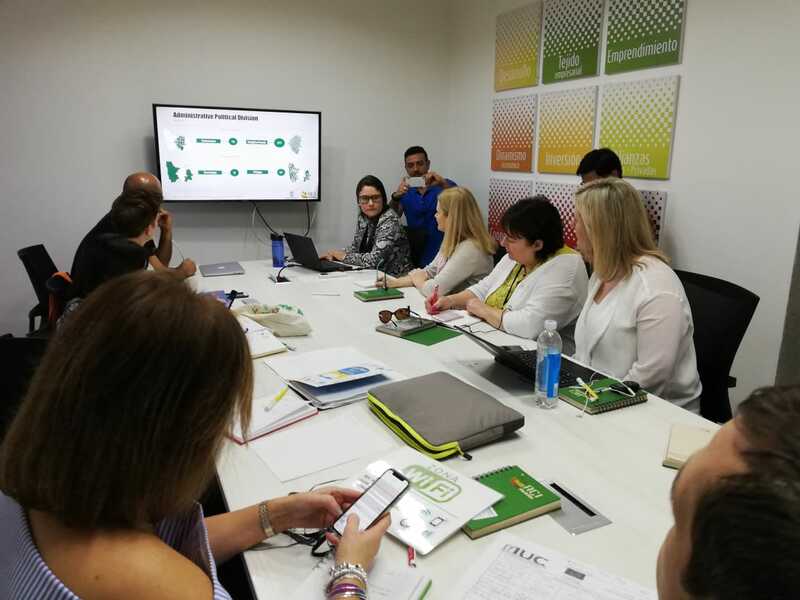 The International Urban Cooperation Program (IUC) aims to support cities in different regions of the globe to connect and share solutions for common problems in sustainable urban development within the framework of the New Urban Agenda and the fight against Climate Change. The community initiative revolves around three main areas: cooperation between cities that will provide a platform for the exchange of knowledge and best practices, specific issues of urban development; the establishment of the Global Covenant of Mayors for Climate and Energy; and, for Latin America, a program of exchanges between regions to stimulate regional economic development through innovation, competitiveness and smart specialization. This is the chapter for Latin America and the Caribbean of the IUC Global program. 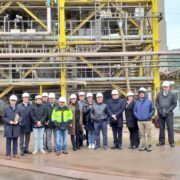 With a budget of more than 5 million euros and three years of duration, 20 cities in Argentina, Brazil, Colombia, Chile and Peru will be chosen; and 20 regions of Argentina, Brazil, Colombia, Chile, Mexico and Peru for collaborations with their European counterparts. The Global Compact of the mayors for Climate and Energy will be established in 20 countries of the region.